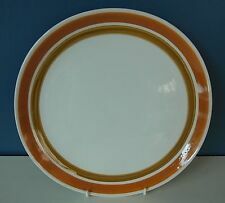 6x Vintage 1970s ENGLISH IRONSTONE POTTERY "BEEFEATER" Steak & Grill Plates . Condition is Used. All good condition. 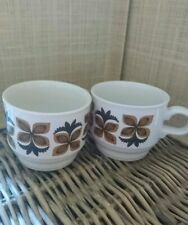 A lovely Retro cup, saucer and tea plate set by Staffordshire Potteries Ltd. They have a wonderful 1960s design. 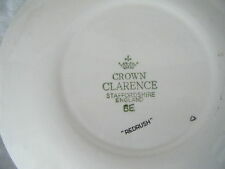 SAUCER 5.5"(14cm). CUP 2.5"(6.5cm) x 3.25"(8cm). Biltons Rose Trellis Garden 6 x side plates. They are used but very good condition. The odd minor blemish see pictures. Measure approx 17cm wide. 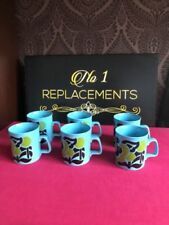 Vintage/retro Staffordshire bright floral Brown And Orange 1960's /70's Set Of 6 Cups in good condition no chips, 2 cup does have a scratch on the pattern see all pictures, this is smooth so I think it was a factory defect. Will be carefully wrapped for postage sent by Royal Mail 2nd Class. Very beautiful 1970s Cassandra Hostess coffee (or tea) pot by "Staffs" (Stafforshire I guess) British Anchor. White, with brown and orange pattern. Black "spots" you can see on the lid are due to the reflection of the light. Small dessert plate from Edelweiss range. 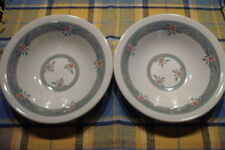 Collection of 9 x dinner plates (25.5cm) and 6 x soup bowls (17cm). 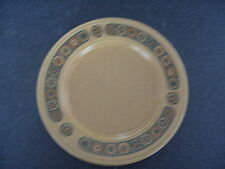 Vintage 1960s/70s Broadhurst Kathie Winkle Mardi Gras Pattern 3 Side plates.